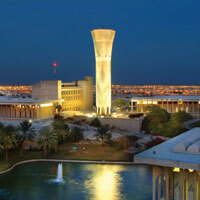 My main research interests are in the human resources management and international business fields. I am also interested in issues pertaining to the use of technology in business (E-business) and in learning (E-learning). 1. Mansour, M. and Hoshino, Y. Firm-specific Factors, Shareholding Structure and Corporate Performance of the Japanese Manufacturing Investments in Europe. Proceedings of the 3rd Annual Conference of the Japanese Association of Administrative Science, Isehara, Japan, November 25-26, 2000. 2. Mansour, M. and Hoshino, Y. Entry Mode Choice of the Japanese MNEs in Europe: Impact of Firm and Industrial Factors. Proceedings of the 4th Annual Conference of the Japanese Association of Administrative Science, Nissin, Japan, November 17-18, 2001. 3. Mansour, M. Performance of Japanese MNEs in Developed Countries: The Case of Europe and USA. Proceedings of the 2nd Conference on Administrative Sciences: Meeting the Challenges of the Globalization Age, Dhahran, Saudi Arabia, April 19-21, 2004. 4. Ramady, M.A. and Mansour, M. Saudi Arabia WTO Accession and Global Economic Reforms. Proceedings of the World Association for Sustainable Development Annual Conference, Abu Dhabi, UAE, November 21-23, 2005. 6. Mansour, M. JV vs. WOS: A Comparison between Developed and Emerging Markets. Proceedings of the Academy of World Business, Marketing and Management Development Biennial Conference, Paris, France, July 10-13, 2006. 7. Achoui, M. and Mansour, M. Employee Turnover and Retention in Saudi Arabia. Proceedings of the 3rd International Business Research Conference, Melbourne, Australia, November 20-22, 2006. 8. Mansour, M. Project HRM: Benefits and Methods. Proceedings of the 1st Project Management Conference, Riyadh, Saudi Arabia, April 07-11, 2007. 9. Agourram, H. and Mansour, M. E-Learning Effectiveness and Culture. Proceedings of the World Conference on E-Learning in Corporate, Government, Healthcare, & Higher Education, Quebec City, Canada, October 15-19, 2007. 10. Mansour, M. and Abdul-Muhmin, A.G. Attitudes Toward Domestic Tourism in Saudi Arabia. 1st Gulf Tourism and Community Forum, Al-Madina, Saudi Arabia, April 21-23, 2008. 1. Mansour, M., Al-Ghamdi, S. and Islam, S. (2007). Accredited Online Master of Business Administration (MBA). Technical Report submitted to the Deanship of Academic Development, KFUPM.